Sharing knowledge & wisdom gained through experience in the form of teaching is a sacred act & a defining characteristic of our species. When ideas are not shared, they grow stagnant; but when shared freely, noesis abounds and culture flourishes; all of life is nurtured and healing is complete. 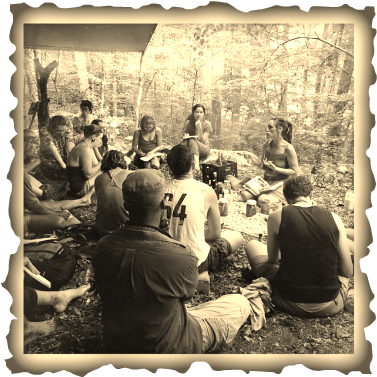 ​ The following is a list of classes, both future and past, where the people of Wilderlandia converge; skills are traded, friends are found and the support we all need in this time of transformation is abundant. Please take time to nourish yourself in these ways, coming together with and gathering the wisdom, skills and traditions of our ancestors. Also, if you'd like to host any of these amazing classes, please contact me for more information. I will be teaching four classes this year, two half day workshops on fermenting veggies (Sat & Sun 9-12:30) and two 1 1/2 hour classes on Mead Making (Sat & Sun 2-3:30). *Bring extra $$$ to these classes to purchase your own goodies form the cellars of Wilderliandia! ALL THINGS VEG: We'll begin with a historical overview of fermentation, what it is & how it has evolved with our species over time, dabbling in bacteria & the many pathways of how we came to be where we are today. Then we'll jump into the 4 basic preservation methods of vegetables: the Kraut method, the Kim Chi Method, the Brining method, and the Liquid Infusion method. We'll sample and prepare each of these along the way, so that by day's end, you will feel empowered to go home and embark upon your own adventures in fermentation, bypassing the need for refrigeration and aligning with the food ways of our ancestors. WILD MEAD MAKING: Delve into the ancient art of mixing honey--the nectar of flowers gathered by bees--with local fruit, flowers, roots & herbs to create divine expressions of beverage bliss. This hands-on event will guide participants through the process of harvesting ingredients and preparing them for the mead, discussing basic qualities of flowers, fruits, roots, etc. & how to use them. Then we'll blend these things together with water & honey, feeding the wild yeasts, to create the beginnings of a most delightful beverage! This is a beginner's class, so we will briefly discus ratios of sweetener, the qualities of various sugars, & have an overview of wild, open & cultured fermentation. We'll end with a brief discussion on racking, bottling & storing your brews while sampling a few lovely examples of fermentation and alchemical magic! All Things Dairy at Fifth Season! One of the defining characteristics of being mammal is our love of milk! In this class we will explore the many wonderful ways you can ferment milk to make it more wholesome, digestible and non-perishable. We will discuss & taste Kefir, yogurt, hard & soft cheeses, whey and more. Milk kefir grains will be available for purchase ($7, please bring a jar & lid). Cultural Flocculation at Fifth Season! Join us as we meander down the road of fermentation, discussing historical & culture-specific ways of preservation through fermentation, while sampling many yummy fermented treats, including jun & kombucha, kraut, kim chi, kefirs, sodas, meads & more. We also will explore various ways of transforming perishable items into more nutritious & stable food, with an emphasis on liberation from refrigeration, while exploring the metaphor of humans as a culture which we the wild are inoculating & transforming into something more viable, integrated & sustainable. Some cultures will be available for participants to bring home, including: tibicos & ginger plant (water kefir), jun, 130 year old sour dough starter, milk kefir & more; so come prepared with extra money & jars! need for refrigeration and aligning with the food ways of many generations. dough starter will be available for purchase. Fall deeper down the rabbit hole of alchemical magic with this follow up to Mead Making 101. Folks who are already familiar with basic mead making will delight in learning new tricks of the trade & age old wisdom (beginners are welcome, but please recognize that the cadence of this class is not 101). We will boldly step beyond the introductory level of brewing and enter into the deeper realms of fermentation wizardry. We will begin with an in depth discussion of yeast, exploring many varieties of commercial yeast & their unique nuances and applications; we'll also learn about wild & open fermenting, starter “bugs” and how to create your own personal yeast strain, or family lineage. Then we'll discuss sugars and their relationship to alcohol, as well as how to use various sugars to get different effects. Next, we'll talk about acid blends & what they can do for your mead creations, including how you can create your own! We will finish with a discussion of “hard to brew” ingredients and ways around them. All the while, we will be sampling some fermented creations from my meadery and concocting a Bochet, a caramelized honey mead...the ambrosia of the gods! Here are classes that you've missed; but if you'd like to experience them, contact us to arrange a repeat! Delve into the ancient art of mixing honey--the nectar of the flowers of plants gathered by the bees--with local fruit, flowers, roots & herbs to create divine expressions of beverage bliss. This hands-on event will guide participants through the process of harvesting ingredients and preparing them for the mead, discussing basic qualities of flowers, fruits, roots, etc. & how to handle & use them. Then we'll blend these things together with water & honey, feeding the wild yeasts, to create the beginnings of a most delightful beverage! This is a beginner's class, so we will briefly discus ratios of sweetener, the qualities of various sugars, & have an overview of wild, open & cultured fermentation. We'll end with a brief discussion on racking, bottling & storing your brews while sampling a few lovely examples of fermentation and alchemical magic! DIY Non-Alcoholic Fermented Beverages at Fifth Season! Learn the art of making amazing fermented beverages that nourish the body and uplift the soul...without inebriating the spirit! We will explore sodas, tonics, water kefir, jun and kombucha and more, plus fun variations of ingredients and beverages from different cultures around the world. Learn how to turn your kitchen into a magical elixir creation station! ...cultures will be available for purchase, so please bring a jar and donations. 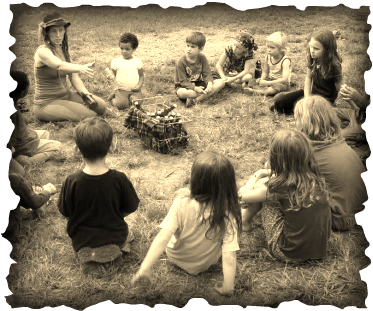 Magical Meads & Ancient Alchemy at Earthskills Rendezvous! Delve into the ancient art of mixing honey--the nectar of the flowers of plants gathered by the bees--with local fruit, flowers, roots & herbs to create divine expressions of beverage bliss. This hands-on event will guide participants through the process of harvesting ingredients and preparing them for the mead, discussing basic qualities of flowers, fruits, roots, etc. & how to handle & use them. Then we'll blend these things together with water & honey, feeding the wild yeasts, to create the beginnings of a most delightful beverage! This is a beginner's class, but will also have something for even the seasoned brewers in the tribe--including bochet!--the art of caramelizing honey to bring the richest and most divine flavor to your brews. We will discus ratios of sweetener, the qualities of various sugars, & have an overview of wild, open & cultured fermentation. We'll end with a brief discussion on racking, bottling & storing your brews while sampling a few lovely examples of fermentation and alchemical magic from both Marissa & Asa's awesome collections. Bring your notebook, a cup, a bottle of mead to sample if you have one & a willingness to have fun! ​I am so excited to be teaching with my old friend Sandor Katz again this year through Ashevillage! We'll be co-teaching, with Sandor covering grains, dairy & veggie ferments the first three days, & Marissa covering alcoholic & non-alcoholic beverages the last 2 days! Check out the Wild Food & Fermentation site for more information! 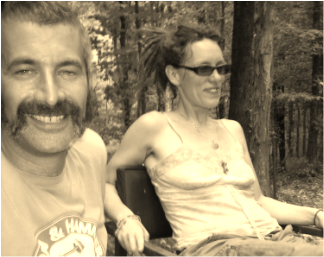 Join the fun at Firefly, the countries largest & most thriving primitive skills gathering. On Saturday morning, we'll meander down the road of fermentation, discussing historical & culture-specific ways of preservation through fermentation, while sampling many yummy treats, including jun & kombucha, kraut, kim chi, kefirs, sodas, meads & more. We'll also explore various ways of transforming perishable items into more nutritious & stable foods, with an emphasis on liberation from refrigeration, while exploring the metaphor of humans as a culture which we the wild are inoculating & transforming into something more viable, integrated & sustainable. Some cultures will be available for participants to bring home, including: water kefir, jun, 150 year old sour dough, milk kefir & more, so please bring jars to transport cultures in. Some items will be for purchase at the end of the class, so come prepared! In this in depth week-long series of classes hosted by Wild Abundance, folks will learn everything from bone broth & butchering to planting simple kitchen gardens! Marissa Percoco will spend a morning sharing traditional methods of preserving foods, including kim chi, sour kraut & mead making. Participants will take home samples of these delicious delights & be prepared to make them in their own home! Register through the Ancestral Foods Cooking Class @Wild Abundance! In this class hosted by Forest Floor Wilderness Programs, we will discuss the relationship between fermentation and a healthy gut in children, how to treat some allergies and food reactions, and basic understanding of fermentation methods. We will also spend a good deal of time sharing recipes and getting our hands dirty making some Kid Friendly Kraut & Home Made Honey Soda. You will leave this class with a basic understanding of the human digestive process, how to nourish it & how to create yummy fermented foods that kids & grown-ups alike will love. Contact us for more details!